Since 1973, the Salt Institute for Documentary Studies at Maine College of Art has taught students from all over the United States and around the world to become skilled documentarians and storytellers. 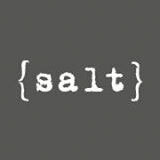 Motivated individuals from all walks of life come to Salt to focus on documentary storytelling, develop new skills, and build expertise. Our faculty members are working documentarians and teaching professionals who help provide a strong foundation for students to make their best work. Students bring their passions, ideas, challenges, and projects to concentrate for 15-weeks on one track of study (Radio + Podcasting or Film + Photography); leave with a portfolio of beautifully crafted stories. The Professional Certificate program in Photography at Maine Media College is a one-year, intensive, hands-on learning experience for emerging photographers. Students study all facets of photography, working digitally or with traditional darkroom practices. The 30-week program comprises 48 quarter-hour credits including course work in the areas of digital and darkroom craft, vision, history, and fine art or documentary project development. The program is excellent preparation for students seeking admission to graduate programs or for those who want to develop their photography in an immersive and highly challenging environment.